This morning, Sunday August 12, across many locations in Florida, thousands came out to the beaches to support clean water and beaches with Hands Along the Water. We attended the St. Pete Beach event. The St. Pete Beach event was organized by local volunteers Casey Corder and Jill Barncord. Hundreds turned out to support the event. People from all walks of life participated the peaceful, non-political event. It was a pleasant morning on St. Pete Beach. Thousands were out on the beach, enjoying the sun, water, watersports, walks on the beach, and the warm weather. Plenty of sea birds around as well, and thankfully, no dead fish or foul odors. Fortunate for us, the red tide that has decimated the southwest Florida coastline from Naples to Anna Maria has had little impact on Tampa Bay and the Pinellas County beaches. 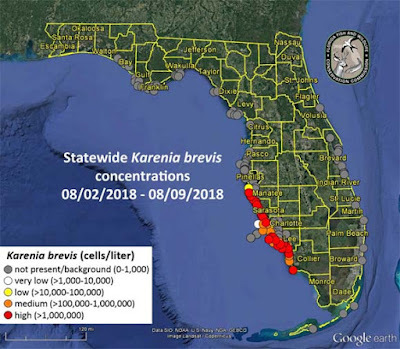 However, there have been some news reports the red tide microbes, Karenia brevis, have been detected in the gulf outside Tampa Bay. If interested in more information about red tide, the Tampa Bay Times published a good summary about red tide that is worth the time to read. It's also worth noting that USF has published research from 2016 on red tide that may also be of interest. Nearby in Sarasota, Mote Marine Lab is also researching red tide. The Florida Wildlife Commission is also providing regular updates on the status of red tide. Everyone has lots of questions about red tide and its devastating impacts. 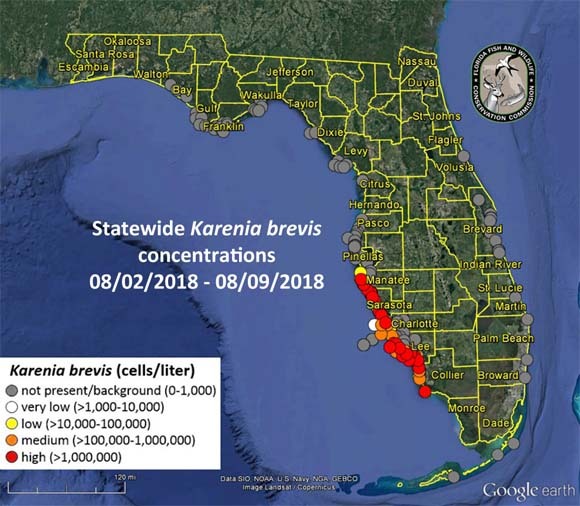 Regardless of the cause, the researchers understand 1) red tide Karenia brevis is naturally occurring, 2) it's difficult to predict, 3) while the Okeechobee run off is horrible and unacceptable, and must be dealt with quickly, its not clear how much that contributes to red tide outbreaks. Whatever the cause, we can all agree we hope it clears up quickly. However, we don't know how long this outbreak will last. We are at that time of year when it often starts, so it may be around a bit longer than anyone wants. Here's to hoping it clears up quickly. And that our political leaders understand the importance to all Floridians.